There has to be a way CSA can lessen the “cricket brain drain”. The 2019 county season in England started last week. Once again it is striking to note the staggering contribution made to county cricket by players who can potentially play for South Africa. Taking into account all Kolpak players, players born in South Africa and players with at least one South African parent (like Dawid Malan and Rikki Wessels), a rough count reveals that at least 43 can potentially play for South Africa. The number is well over 50 if one includes all the South Africans who will ply their trade In England over the course of the season as overseas professional players. About a quarter of the 43 are Kolpak players. For reasons of international politics, Australian players cannot sign as Kolpak players. However, it is still interesting to note that only 15 county contracted players were born in Australia – significantly less than the South Africans even without the Kolpak players. By way of further comparison, eight county players were born in Zimbabwe, six hail from the Caribbean islands and only two were born in New Zealand, England allrounder Ben Stokes being one of them. The 43 players are the cricket equivalent of a “brain drain”. They are neither eligible for the Proteas nor allowed to play domestic cricket in South Africa. The impact that these players can make in domestic cricket is a particularly big loss. From the 2019/20 season no domestic team in South Africa will be allowed to contract a Kolpak player. The collective wisdom of these former international players will therefore be lost to South African cricket. Many of the non-Kolpak players are, with all due respect, not good enough to play international cricket. But they are very good first-class players, and that is the area where they are missed in South African cricket. 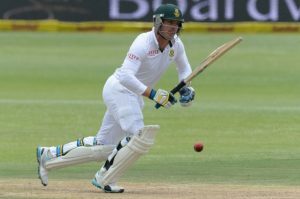 Earlier this week Cricket South Africa (CSA) announced a revamping of the structure of domestic cricket from the 2020/21 season. The two-tier structure of first-class cricket (franchise and provincial) will be merged into one consisting of twelve teams. This is a good move as it will ensure a consistent standard of cricket at first-class level and hopefully in the long run raise the standard too. Also, especially against the backdrop of CSA’s strong emphasis on transformation, the new structure will create a better quality of opportunity. Having a strong domestic, first-class structure forms the solid foundation of any strong international team. Not all the first-class players are good enough to make the step up to international cricket. Their worth is measured by the contributions they make season after season in domestic cricket, and the knowledge and experience they pass on to the younger players. Their contributions are like the foundations of a building, unseen.